Labour Day is an opportunity for all of us to celebrate the progress and gains that workers have made in Canada and around the world. As we enjoy the last long weekend of summer with friends and family, let’s also reflect on our hard-fought victories for working people from the past year, and years before, and let’s commit ourselves to our fight for a fairer and more equal world. In workplaces and communities across Canada, CUPE is standing up for workers’ rights and a better life for everyone. We are fighting back against precarious work, employers’ demands for concessions, and governments who try to take our rights away. We want to take this opportunity to thank every single one of our CUPE activists, leaders, and staff across Canada who fight tirelessly to make our jobs and our communities better. Together, we are moving forward and making gains for our members and for all working people in Canada. But as we know, those gains are under growing attack by a wave of right-wing governments. Across our country, and at all levels, governments are trying to legislate away the hard-won rights of Canadian workers. At the same time, they are taking aim at the crucial public services that our members provide and that help build a more equal and inclusive society. The goal of these governments is plain and simple: they want to fundamentally redefine workers’ rights and how governments serve their people. We know it’s up to us to stand up to their hostile and dangerous agenda. Now more than ever, we need to talk about how unions have strengthened the middle class and worked to even the playing field. And we need to continue organizing and bargaining forward even in tough times. 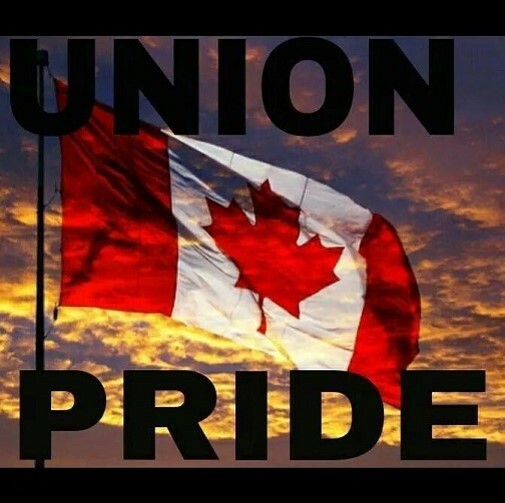 We are Canada’s largest labour union, and our voice continues to grow stronger. Together, there is no challenge we cannot meet head-on. 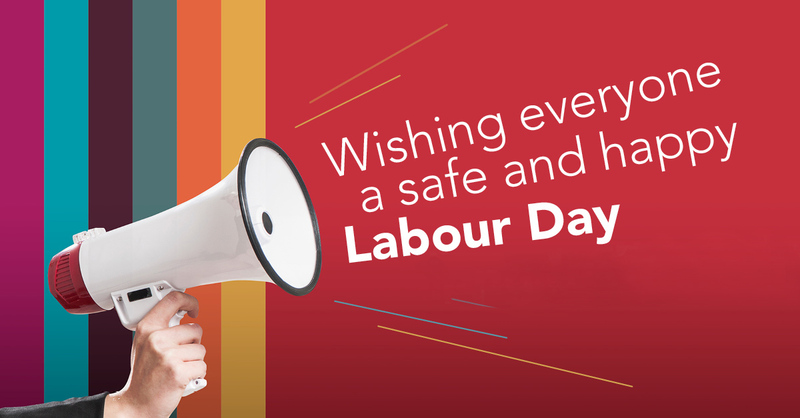 On behalf of all 665,000 CUPE members across Canada, we wish you a very safe and happy Labour Day. This entry was posted in Uncategorized on August 30, 2018 by greybrucelabour. Here is an update regarding the evolving situation surrounding the Toronto Labour Day Parade. IATSE Local 58 members are still in lock out despite several attempts to go back to the table and reach a fair deal with the City of Toronto. Consequently, we will not cross the picket line and will not enter the CNE grounds in support of these workers. IATSE 58 are professionals skilled in their craft and have been servicing Toronto behind the scenes for venues such as theatre shows, musicals, concerts, opera, ballet, sporting events, conventions and trade show industries. If you’ve been to an event in Toronto, you have been in their company. Talks were held with the Ontario Federation of Labour and the Toronto and York Region Labour Council whom in collaboration with other labour unions developed an alternative plan of action for Labour Day. We will be marching as usual but once we approach the CNE, we will be walking in front of the picket line to then divert to Lamport Stadium. Lamport Stadium is on Liberty Street, just south of King and east of Dufferin. We are planning to have music, speeches from IATSE and others, concession stands offering food and non-alcoholic refreshments, there will be a beer tent set up – with proceeds going to Local 58’s strike fund. The PWU and other unions will be sponsoring activities for children as a contribution to the event so families may enjoy the day. The air show will also be visible at this location. The local restaurants have been approached about bringing in staff to handle a big lunch crowd. IATSE will have their picket line up across Dufferin at Liberty Street so all the marchers will be able to cheer them on as the parade turns left at Liberty. We will distribute placards saying “we support IATSE” among all the sections for members to have. The reviewing stand will be at the parkette just south of King Street – set up by IATSE members as part of their contribution to the success of the day. If the lockout ends before Labour Day, wristbands will be available on Monday and we will march as normal. Our movement has been marching proudly in the streets of Toronto for 146 years. This year the march itself will be a reminder of what we, the Power Workers’ Union stand for, as we march the streets of Toronto with our families. We look forward to spending this meaningful day with all of our members. This entry was posted in Uncategorized on August 23, 2018 by greybrucelabour. With 2 weeks to go before Labour Day, please make sure that the 2nd largest Labour Day Parade in Ontario is on your calendar. The only change compared to recent years is that the marshalling behind the Shoreline Baptist Church will be primarily be for people and parking of personal cars. It is hoped that floats will marshal along Goderich Street ahead of the start of the parade. Looking forward to seeing the entire community out to celebrate Labour’s Day. This entry was posted in Uncategorized on August 20, 2018 by greybrucelabour. Why You Should Care About Unions (Even if you’re not in one.) By Meagan Day and Bhaskar Sunkara Ms. Day is a staff writer at Jacobin, where Mr. Sunkara is editor. First of all: We should all be celebrating that last night voters in Missouri rejected a right-to-work law by a 2-to-1 margin. Why? The average person in the United States has essentially zero power in society. That’s why millions have organized into unions over the years. But the slow decline of unionism in the United States should concern you even if you’re not in one. Unions improve wages, benefits and working conditions for their members. But it’s not just to members’ advantage. Collective bargaining affects pay standards across entire industries, meaning even nonunion workers benefit. Unions also secure legislation that protects all workers, from workplace safety guidelines to a guaranteed weekend. And they reduce gender and racial wage gaps across industries, which contributes to broader equality in society. Owing largely to a sustained political assault on unions, their memberships have been declining since the mid-20th century — a trend that, not coincidentally, maps neatly onto rising economic inequality and falling wages. The Supreme Court’s recent decision in Janus v. American Federation of State, County and Municipal Employees is the latest blow to unions, effectively instituting a nationwide “right-to-work” regime for public-sector unions. Right to work forces unions to represent even those who don’t pay dues or claim membership, discouraging workers from joining and contributing. In short, it kills unions by attrition. In the wake of Janus, the labor movement faces a choice: It can passively watch members drift away, or it can return to its roots, renewing a commitment to internal democracy, face-to-face organizing and bold strike action — in other words, do the things to win concessions and actually give people a sense of belonging and purpose in the movement. And American workers should cheer labor on when they take this course — for example, by supporting the ongoing wave of teachers’ strikes — knowing that the fates of union and nonunion workers are inextricable. This article is part of the Opinion Today newsletter. David Leonhardt, the newsletter’s author, is on a break until Aug. 27. While he’s gone, several outside writers are taking his place. This week’s authors are Meagan Day, a writer for the socialist magazine Jacobin, and Bhaskar Sunkara, the magazine’s editor. You can sign up here to receive the newsletter each weekday. This entry was posted in Uncategorized on August 12, 2018 by greybrucelabour. The Grey Bruce Labour Council, President Kevin Smith (OSSTF), VP Dave Trumble (PWU) and Unifor Retiree Kathy spent a few hours on the picket line with the OPSEU 276 Members. The OPSEU members have shown outstanding commitment and have been on the line for 12 weeks. Exercising their charter rights to collectively bargain and be part of a union these members have been subject to verbal abuse by senior FHO staff and Drs. In addition, the FHO has hired private security guards and a security consultant that have demonstrated contempt for the workers while attempting to bully and intimidate them. If the FHO was interested in resolving the dispute they would immediately dismiss the security team and the FHO senior staff who have yelled abuse at the picketers and begin bargaining to end the strike. The cost of the security alone would be more than enough to resolve all outstanding financial issues. However, having witnessed the behavior of the security staff and the FHO Drs. and senior staff it is clear that the FHO goal is union busting and not fair and equitable collective bargaining. Hiring scabs, using those that the cross the line and having the security staff act as the scab express while attempting to intimidate the workers is clear evidence that union busting is the goal of the FHO. It is time for the good people of Owen Sound to listen to the workers and ignore the rumours and innuendo associated with this legal and just labour action and take action to make the FHO account for their reprehensible behavior. Lets get these friends and neighbors back to work. If you can, and you are a patient of the FHO, demand that the FHO stop their behavior and get back to the table. This entry was posted in Uncategorized on August 10, 2018 by greybrucelabour.